“Napalm” is, in my opinion, one of the most electrifying track’s Oberst has released since “Roosevelt Room” appeared on Outer South. There’s a little twang in the vocals on some lyrics, and since Ian Felice isn’t focused on singing he’s free to go wild on lead guitar. Salutations also features Oberst’s Monsters Of Folk bandmate Jim James and drummer Jim Keltner. This album is a companion piece to 2016’s “Ruminations”. When Oberst wrote and recorded the songs on Ruminations, entirely solo with just vocals, piano, guitar and harmonica, he intended to ultimately record them with a full band. But in the midst of putting together that band – upstate New York’s The Felice Brothers plus the legendary drummer Jim Keltner (Neil Young, Jackson Browne, George Harrison, Bob Dylan, John Lennon, and many more) – the passionate responses Oberst was getting to those first solo recordings, from friends and colleagues, encouraged him to release the songs as-is, in their original sparse form. “Salutations” so soon after is a surprise release. After the previous “Ruminations” 10-track album written and recorded by Conor Oberst in the cold confines of Omaha, Nebraska which came out last year, the news that a second album, with full-band arrangements of those same 10 songs plus seven more, would be released this year was an unexpected bonus. Featuring the contributions of The Felice Brothers and Jim Keltner, it promised a new treatment of some of Oberst’s most raw compositions. The result is a fulsome new release, markedly different from its 2016 cousin. If nothing else, Salutations is a fascinating look at the changes that come from collaboration and evolution in a studio setting versus the isolation in which these songs were born. Instead of relying solely on piano, acoustic guitar, and harmonica, Conor Oberst and company employ accordions, organs, strings (of both the orchestral and fiddle varieties), and ethereal sound collage elements to build up these tracks and give them a more unique new character. In place of sparse confessionals, Oberst offers amblers, anthems, and torch songs. The first track of the album, “Too Late to Fixate”, announces Salutations as such – a slow groove with his trademark combination of wry humor, self-pity, and world-weary reflection. The album’s new additions tend to be its more raucous ones, approaching a Southern rock vibe in songs like “Napalm” and “Anytime Soon”. Despite those rollicking numbers, much of Salutations moves at a slower pace, with the addition of percussion and string-accompaniment often turning Oberst into a crooner see: “Rain Follows the Plough”. The record has an overall jam band quality, but it’s one to sway and swoon to, with clean electric guitars and steady ballads. The album also presents Conor Oberst struggling with his own mortality. Health issues, including a diagnosis of a cyst in his brain, originally prompted the singer to step back from a planned tour and pour his worries onto the page. The echoes of that remain on Salutations in songs like “Tachycardia” and “Counting Sheep” with lyrics like “everything ends, everything has to.” Oberst seems to be contemplating his own end, trying to reassure himself about both the meaning and inevitability of it. Through the fuller production, however, Oberst softens the blow of these thoughts. There was a bare earnestness to Salutations’ predecessor, a sense in which Oberst was sequestered in his own confessional in Nebraska, pleading his case and wrestling with his demons. In the confines of the studio, the lyrics have the same potency, but Oberst himself is more languid, the instrumentation more amiable than arresting. It turns passages in songs like “A Little Uncanny”, where Oberst sings “I miss poor Robin Williams”, from sad laments into fond remembrances. But the same ruminative qualities remain on the record. Salutations focuses on the fleeting, fickle nature of just about everything. Success, romance, veneration, discipline, fidelity, and life itself all appear to be phantoms that can never truly be captured or pinned down in Oberst’s estimation , “Salutation”, “Afterthought”. Oberst is seemingly beleaguered by the uncertainty and the march of years, with many songs that mention his finding refuge in various substances, geographic escapes, or more carnal distractions. In “Mamah Borthwick (A Sketch)”, he speaks of finding something “sacred till the end,” after beauty, wealth, and achievement have faded and crumbled. He seems to settle on art as one of those few things that can be pure, that can withstand the panicked paradoxes of the day-to-day and perhaps even death itself . Oberst strikes the notes of a man trying to find something permanent, beautiful, and unblemished . It’s just been announced that Conor Oberst is working with the Felice Brothers band again on a new (sort of) album. “Salutations” is going to be 7 new tracks, plus all the songs from “Ruminations” done with a full band instead of solo. Yesterday they released the first new track, “Napalm,” as well as their version of “A Little Uncanny.” .Created with help from The Felice brothers Jim Keltner , the record will also feature My Morning Jackets Jim James as well as Blake Mills , Gillian Welch and others . Salutations also features Oberst’s Monsters Of Folk bandmate Jim James and drummer Jim Keltner. The Felice Brothers will join Oberst on tour (seriously must-see live) for dates in Europe as well as a handful in the States. The album is up for pre-sale through Nonesuch Records. 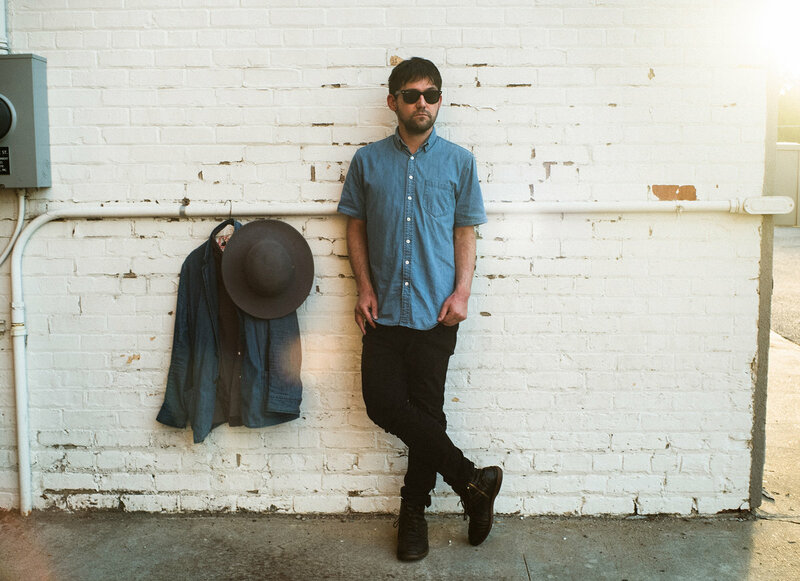 “Napalm” is, in an electrifying track Conor Oberst has released since “Roosevelt Room” which appeared on Outer South. 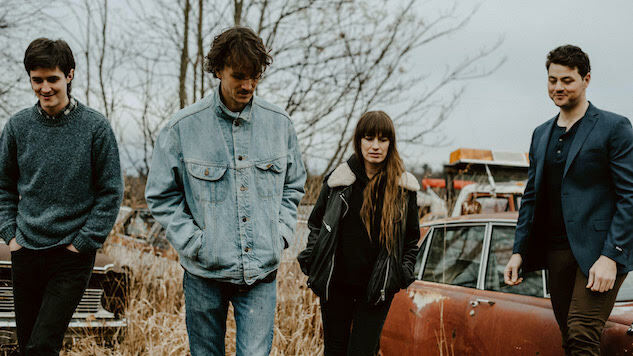 There’s a little twang in the vocals on some lyrics, and since Ian Felice isn’t focused on singing he’s free to go wild on lead guitar. Conor Oberst’s “Napalm” from his 2017 album, Salutations. With its primal acoustic instrumentation and rugged mountain-man harmonies, the Felice Brothers’ latest album harkens back to the band’s late-Aughties classics like Yonder is the Clock and The Felice Brothers. 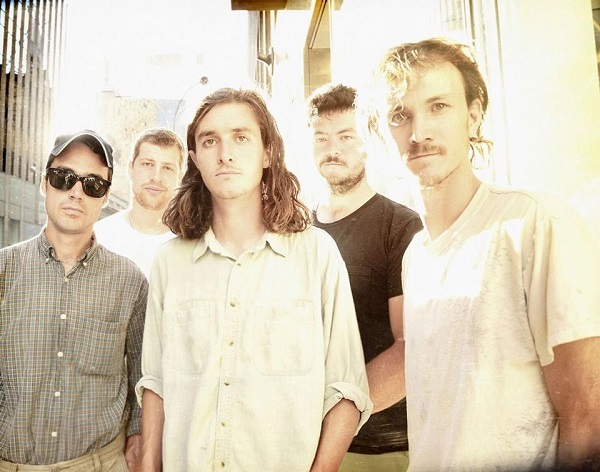 But this time around, the band’s quirky Americana mythologizing has turned much darker, populated by corporate headaches and consumerist nightmares on songs like “Aerosol Ball,” “Jack At The Asylum,” and “Plunder.” Ian Felice, who sings leads on every track (a first for the group), sets the pace with his dejected stories of american blue collar working-class desperation (“Triumph ’73”) and middle-aged defeat (“Sell the House”). The band’s latest album might be their bleakest, but it’s also their most potent and interesting to date. Today the band released a video for their new single, along with a date for their new album Life In The Dark (out June 24th). It’s a fun track, a bit in the vein of “Cherry Licorice” in the kind of impractical lyrics that make more sense the more you listen. The video of archive video pairs well with the song, as you can see for yourself. 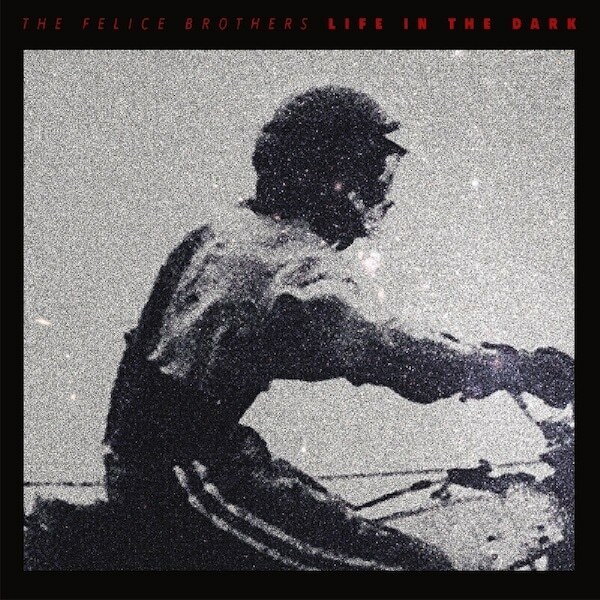 The Felice Brothers new album Life In The Dark is out June 24th on Yep Roc Records and is available for preorder now. The Felice Brothers return to Pawling, NY at Daryl’s House Club on May 12. prepare to hear some new tunes from the forthcoming Life In The Dark (as well as old favorites).